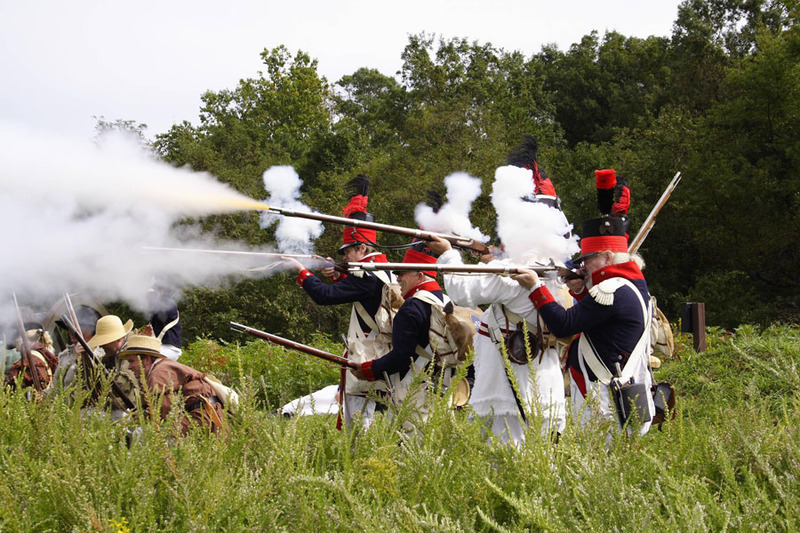 1812 Fair and Reenactment this Saturday. Come Early and Stay for Tavern Night! 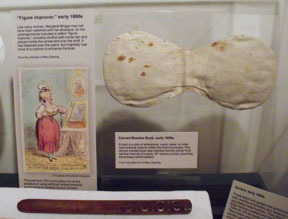 The exhibit is designed to coincide with the JPPM 1812 Fair and Reenactment September 22, but the items exhibited show trends in fashion throughout the first half of the 19th century. The objects are not part of JPPM’s permanent collections, but instead came together based on loans offered by JPPM staff. Sara Rivers Cofield, Federal Curator at the MAC Lab, has been collecting clothing and purses since her grandmother, Charlotte Rivers, helped her buy her first antique purse over 20 years ago. Now family heirlooms from Charlotte Rivers, who died last October at the age of 99, are included in the exhibit. 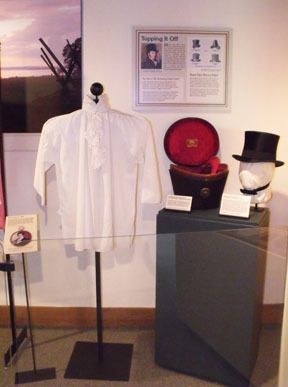 Betty Seifert, JPPM Curator, contributed her great grandmother’s knitting needles to the exhibit, and Michele Parlett, Public Services Coordinator, loaned the top hat and its carrying case from her family’s antique shop, Keeper’s Antiques, in Charlotte Hall, Maryland. In order to flesh out the themes that the staff collections could illustrate, we turned to independent scholar and collector Mary Doering for some additional pieces. Mary, who teaches courses on costume history for the Smithsonian-George Mason University Masters Program on the History of Decorative Arts, often loans her collections to museums and historic sites, including current exhibits on the War of 1812 and the Civil War at the Maryland Historical Society. By combining the high-quality pieces in Mary’s collections with the personal heirlooms and collections of staff, the exhibit offers rare garments and accessories, eye candy, and personal stories. A little something for everyone! Curators not only have the responsibility of organizing and properly storing artifacts, they also often select objects for exhibit. And if the objects destined for display need cleaning or mending – well, sure, they can do that too. Curator Erin Wingfield is currently cleaning and mending a tin-glazed earthenware chamber pot to go on exhibit at The Todd’s Inheritance Historic Site, a property occupied by the Todd family from the late 17th century through the 1970’s. The chamber pot dates from the late 17th – to early 18th – century occupation of the site. Tin-glaze is both white and opaque, and Europeans from the 16th to the 18th centuries found that this glaze made a great base for decorating with colors such as blue, green, brown, purplish brown, and yellow. Back in February, we told you that fragments of a 500 year old dugout canoe found near Parris Island, South Carolina, arrived at the MAC Lab for treatment in our vacuum freeze dryer. Conservators have now completed the treatment of the canoe pieces. After packing them carefully for transport, conservators waved goodbye as archaeologists from Parris Island whisked it away home… South Carolina has plans to reconstruct the canoe and put it on display at the Parris Island Museum, a museum that focuses on the history of the island from prehistory through the present. Canoe fragments after vacuum freeze drying. Get Ready for Children’s Day at JPPM! The 1st Sunday of June every year, we invite you to enjoy Children’s Day at Jefferson Patterson Park and Museum. Activities include demonstrations and hands-on fun along with live entertainment, pony rides, games, food, and even an antique tractor parade. Stop by the Maryland Archaeological Conservation Laboratory, Public Archaeology site, and Indian Village for even more to see and learn! See you there! Drilling the prehistoric way at the Indian Village. See artifact conservation at the MAC Lab. Conservators at the MAC Lab have just completed the treatment of several artifacts recovered from excavations at Valley Forge, Pennsylvania. These objects are believed to be from the 1777-1778 winter encampment of a Continental Army brigade. Among the artifacts conserved are a knife, two bayonets, an iron belt axe (tomahawk), and several pewter regimental buttons. Because no fighting occurred at Valley Forge during the American Revolutionary War, archaeologists at the site believe they are seeing evidence of weapon maintenance and possible military training. Early this week, the conserved artifacts were returned to Valley Forge to be put on exhibit at the Washington Memorial Chapel, the site of the encampment excavations. *Interested in information about the regimental buttons found at Valley Forge? Check out Curator’s Choice archives.